Private equity firm Cinven announced today that they were acquiring a majority share in the German laboratories group Synlab. Cinven has yet to disclose how large the deal will be, or provide any detail on the monetary aspect of the transaction. Synlab which provides human and veterinary laboratory services, as well as environmental analysis, operates in 23 European countries, with laboratories in around 300 locations and employing over 7,000 people. In 2014 the group registered sales of approximately €756 million. The group will be a useful addition to Cinven’s empire. 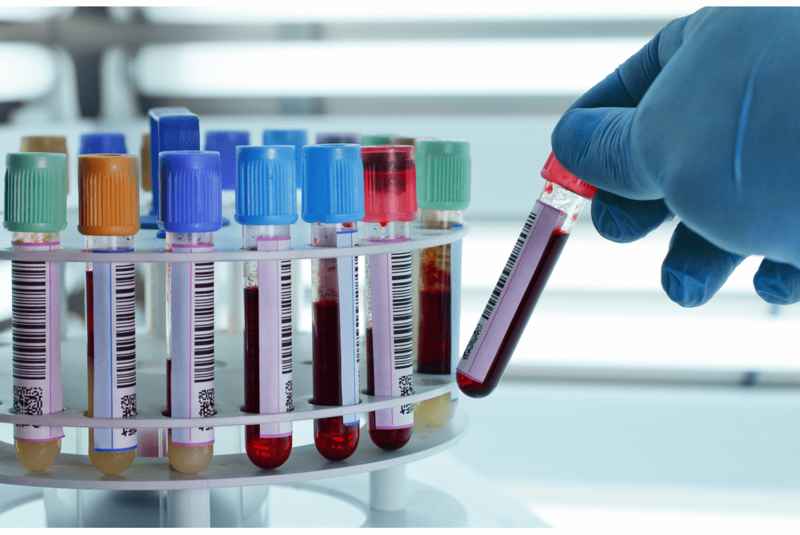 Last year they acquired a majority share in Labco, the France based diagnostic service providers. Cinven paid an enterprise value of €1.2 billion for the company. Alex Leslie, Senior partner in Cinven, highlighted the complimentary nature of the businesses when the deal was announced. ‘We believe that the combination of Labco and synlab, two highly complementary businesses, will provide clear benefits for patients and payors across Europe and will create a European champion in the industry’. The CEOs of both Labco and the newly acquired Synlab were equally optimistic about the implications of the deal. Bartl Wimmer the CEO of Synlab indicated that the takeover would have positive effects on the industry. ‘Cinven has an excellent reputation as an investor in the European healthcare sector, and already has substantial experience in the diagnostics sector. We are looking forward to working with them on growing our business and being able to offer more healthcare professionals and patients access to diagnostic services internationally to improve the detection and prevention of diseases’. Philippe Charrier, CEO of Labco, added: ‘At Labco, we are excited about having the chance to work together with the synlab team. Our two businesses are highly complementary with little direct geographic overlap and we share Cinven’s vision of creating a European champion in the diagnostics industry’. 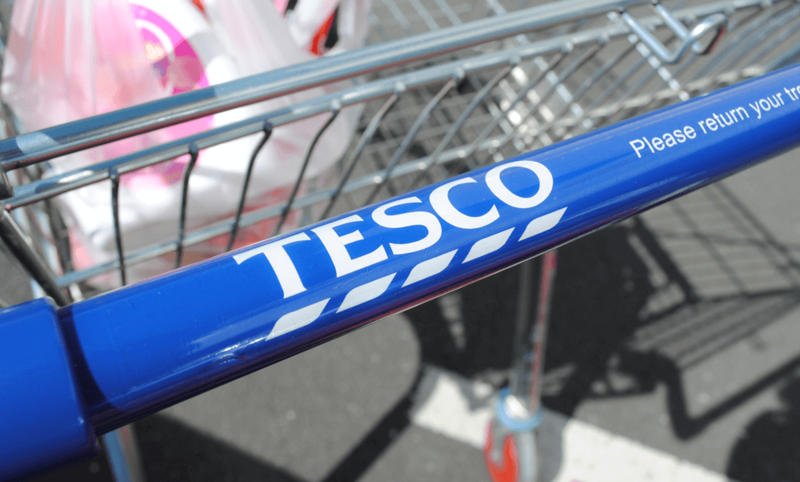 Tesco PLC in negotiations to sell Korean subsiduary arm Homeplus. The South Korean supermarket chain Homeplus is being sold by its owners, Tesco PLC. Currently, the Korea Daily Economic has stated that the Orion Confectionery, which specialises in novelty and seasonal products, are keen to be involved in the deal, which would help them enter the superstore market and would enable them to promote their own products through Homeplus. The newspaper speculates that Orion Confectionary would attempt to join American investment firm TPG Capital and form a conglomerate. The paper also states that MBK Partners, an Asian private equity and investment firm ‘is aggressively pursuing the deal’, owing to a slump in their investment dealings over recent years. Homeplus is the South Korean subsidiary of the British owned supermarket firm Tesco PLC, with the deal to sell Homeplus being underwritten by HSBC. Tesco created Homeplus in 1999 in partnership with Samsung but bought Samsung out in stages, culminating in 2014. Tesco is now the complete owner of Homeplus. 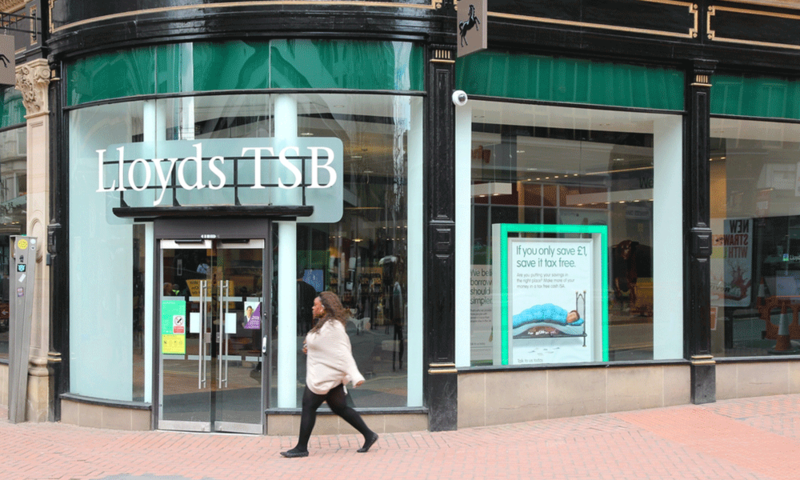 Shares in Lloyds Banking Group, which were previously owned by the UK Government, are being sold off under pre-election plans to recoup the taxpayer money used to bail out the ailing financial institution during the 2007 to 2009 financial crisis. The price of the shares has dropped to 86.66 pence at the time of writing, which is a reduction of 0.47%, according to the FTSE 500. This coincided with a statement from George Osbourne who has been vocal in his desire to privatise the taxpayer-funded banks since coming into power with the collation Government, and who claimed on the 1st June: “This means we have now recovered over £10.5bn in total, more than half of the taxpayers’ money put into Lloyds, and we now own under 19% of the bank”. deVere Group’s Global Head of Tax, Neil Walker, comments: “deVere Tax Consultancy has been established to meet ongoing and growing demand from existing and potential deVere clients. 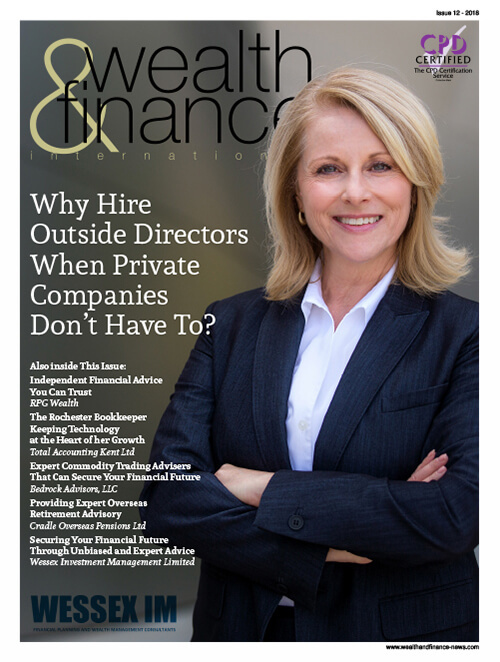 “Until now, few options were available in the marketplace to meet the specialist, U.S., UK, and/or globally-focused requirements our clients needed. “With more and more individuals become internationally mobile, and the evolving UK and global tax, legislative and regulatory environments, a fresh approach was required. He continues: “deVere has sought out the very best technical tax capabilities available to address these developments and combines this with its global infrastructure to exceed clients’ tax expectations. Neil Walker who heads deVere Tax Consultancy, which names the preparation of UK and U.S. tax returns amongst its suite of specialist areas, spent almost a decade within Ernst & Young’s expat division. CU Bancorp, the parent company of wholly owned California United Bank, today reported financial results for the first quarter of 2015. The comparability of financial information for the first quarter of 2015 to the first and fourth quarters of 2014 is affected by the Company’s acquisition of 1st Enterprise Bank (“1st Enterprise”), which was accomplished by a merger of California United Bank with 1st Enterprise (“the merger”), effective November 30, 2014. Operating results for the first quarter of 2015 include three months of combined operations, compared to one month of combined operations in the fourth quarter of 2014. – Net organic loan growth of $67 million in the first quarter. – Core net income available to common shareholders increased to $4.2 million, up $1.5 million or 56% from the prior quarter. – Diluted core earnings per share of $0.25, up 25% from previous quarter. – Net interest income increased to $20.6 million, up $4.9 million or 31% from the prior quarter. – Net interest margin increased to 3.95% from 3.78% in the prior quarter. – Core efficiency ratio improved to 62% from 66% in the prior quarter. – Return on average tangible common equity of 8.23%. – Tangible book value per share increased $0.28 to $11.65 per share. – Total assets increased to $2.4 billion, up $142 million or 6% from the prior quarter. – Total loans increased to $1.7 billion, up $41 million or 2.5% from the prior quarter. – Total deposits increased to $2.1 billion, up $136 million or 7% from the prior quarter. – Non-interest bearing demand deposits were 53% of total deposits. – Continued status as well-capitalized, the highest regulatory category. The first quarter of 2015 represents the Company’s first complete quarter of combined operations following the acquisition of 1st Enterprise. As such, the Company believes comparisons to the results of legacy CUB’s first quarter of 2014 or the results of the fourth quarter of 2014, which only represented one month of combined operations after the merger, do not provide the most appropriate benchmarks for assessing its performance in the first quarter of 2015. The Company believes it is more relevant to compare its results in the first quarter of 2015 to the pro forma combined results for CU Bancorp and 1st Enterprise in the first quarter of 2014, the last quarter of operations for both entities that was unaffected by merger-related charges. First quarter 2014 pro forma numbers are used for illustrative purposes only. As the table below shows, excluding merger-related charges and the provision for loan losses, CUB’s net income before the provision for income taxes in the first quarter of 2015 increased 30%, total assets increased 12%, total loans increased 14% and total deposits increased 12% over the pro forma combined results of CU Bancorp and 1st Enterprise in the first quarter of 2014. Firms are reminded that any form of communication (including through social media) is capable of being a financial promotion if it includes an invitation or inducement to engage in financial activity. All communications (including financial promotions) must be fair, clear and not misleading. Promotions that fail to be ‘fair, clear and not misleading’ can pose a risk as they could lead consumers to buy the wrong product – ultimately with unhappy outcomes for them and for firms. Communications through social media can reach a wide audience very rapidly, so firms should take account of that in their decision to promote through social media, and when deciding the nature of their promotions. Firms should ensure that their original communication would remain fair, clear and not misleading, even if it ends up in front of a non-intended recipient (through others retweeting on Twitter or sharing on Facebook). One way of managing this risk is the use of software that enables advertisers to target particular groups very precisely. The requirement to be fair and not misleading require balance in how financial products and services are promoted, so that consumers have an appreciation not only of the potential benefits but also of any relevant risks. Firms should consider whether it is appropriate to use character-limited media as a means of promoting complex features of financial products or services. It may be possible to signpost a product or service with a link to more comprehensive information, provided that the promotion remains compliant in itself. Alternatively, it may be more appropriate to use ‘image advertising’ to promote a firm more generally. -Ori Eisen, founder of 41st Parameter revealing how technology can be used to address major trends in cyber-security. -Chris Thomas, Director of Fraud Sales, EMEA, Experian, who led an industry panel discussion on digital evolution and the impact of fraud on the business models across multiple business sectors. For further information on the event please see The Future of Fraud and Identity, Spain event video and photos taken during the day. 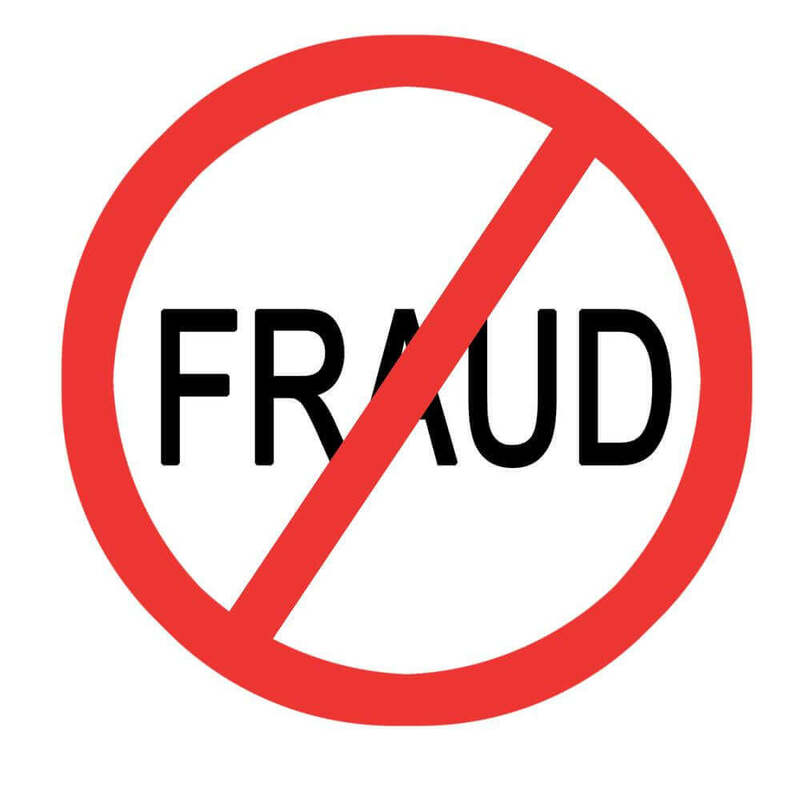 This week Experian launched a fraud campaign in EMEA to raise awareness of how Experian works with businesses to develop a strategic response to fraud that enables them to define a strong fraud risk strategy; identify and prevent fraud; and review and improve existing fraud strategies to keep up with current and emerging threats. 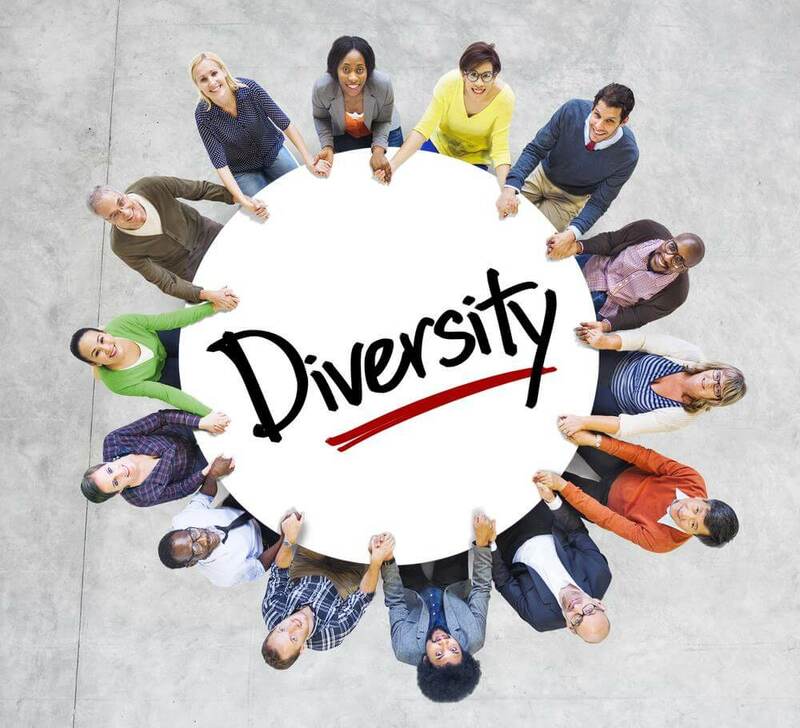 The Diversity Toolkit is a series of podcasts with chairmen, CEOs and directors sharing their perspectives on changing corporate culture and building an environment where diversity is welcomed and developed. These personal stories provide businesses of all sizes with ideas, guidance and inspiration for creating a diversity strategy that best fits. Inspire global head and director at Harvey Nash, Carol Rosati says: “Businesses are starting to recognise diversity as a competitive advantage but many are still thinking about it as a tick box or numbers game. The best policies and procedures will do little to change an organisation unless it is backed up by commitment from the top that is believed by the rest. The toolkit will form part of an on-going series related to Inspire’s ‘Simple Acts’ campaign, which will be launched later this year to encourage more businesses to take simple actions to create a more inclusive workforce. The process of mulching, weeding and planting every spring is a ritual for homeowners. Not many realize, however, that every time they use a credit card to pay their landscapers, banks get a windfall: as much as 4 percent of every payment, far more than it costs the bank to process the transaction. These swipe fees push prices up and cost an average family hundreds of dollars a year, so credit card companies like to keep them hidden from consumers. But merchants and service companies know swipe fees impact the entire economy. A study by economist Robert J. Schapiro found that after Congress reduced debit-card fees, consumers saved $6 billion in 2012, the first full year after reform took effect. Debit reform also supported more than 37,500 jobs. The banks also keep their fees hidden from merchants. There is no way a merchant can know how high the swipe fee is on any given card, so the costs of swipe fees are just as unpredictable as the weather, a problem especially concerning for small businesses. Improvements in technology and increases in volume have lowered the banks’ cost of processing purchases with cards to a few pennies. For debit cards, the cost is only 4 cents, but banks charge merchants 25 cents– a 500 percent markup. For credit cards, the margins can be as high as 10,000 percent. In comparison, landscaping companies earned an average 10% profit in 2013, according to a Lawn and Landscape Magazine State of the Industry survey. According to Statista, an online statistics company, the landscaping industry generated about $71 billion in revenues in 2013. If every client paid their landscaper with a credit card, the banks and card companies could have collected as much as $2.84 billion in fees on these payments alone. Homeowners who participated in 2013 Consumer Spending survey by PLANET, the national trade association representing landscape and lawn care industry, reported spending on average $600 a year on professional lawn care services like mowing, edging and leaf clean-up. This means banks walked away with as much as $24 from each manicured lawn. The card companies dominate the payment industry and set swipe fees for the banks issuing the cards. 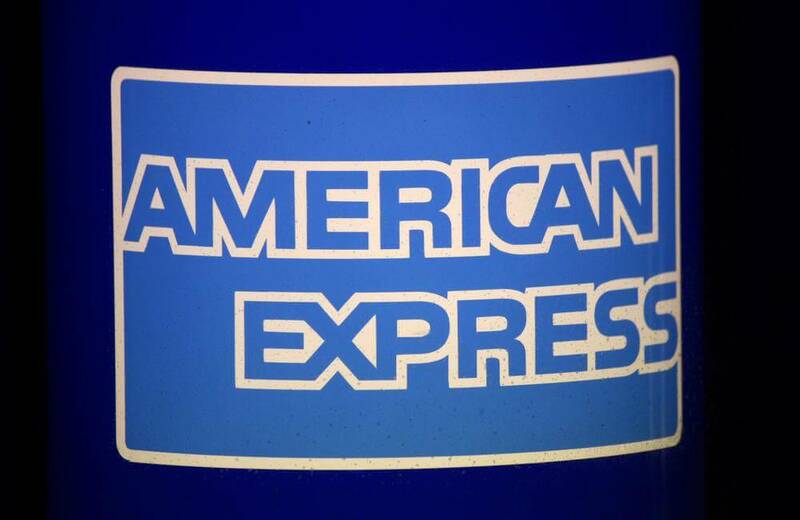 But, there’s no question about this: A federal judge recently ruled in a Justice Department case against American Express that card companies charge merchants unfairly high fees and hurt consumers when merchants are forced to pass those costs to them in higher prices. Yet accepting credit cards is a must for retailers, so they are stuck with these high fees. “Businesses in America operate in a free market system driven by competition. The card payments industry, where banks and powerful credit card companies are fixing inflated rates, seems to be the only exception,” said Doug Kantor, counsel to the MPC. Fit Mind, Fit Job: From Evidence to Practice in Mental Health and Work says that around 30% to 40% of all sickness and disability caseloads in OECD countries are related to mental-health problems. The total cost of mental illness is estimated at around 3.5% of GDP in Europe. The personal costs of mental ill-health are high. People with mild to moderate disorders, such as anxiety or depression, are twice as likely to become unemployed. They also run a much higher risk of living in poverty and social marginalisation. Despite growing recognition of the issue in society, considerable social stigma around mental ill health remains. 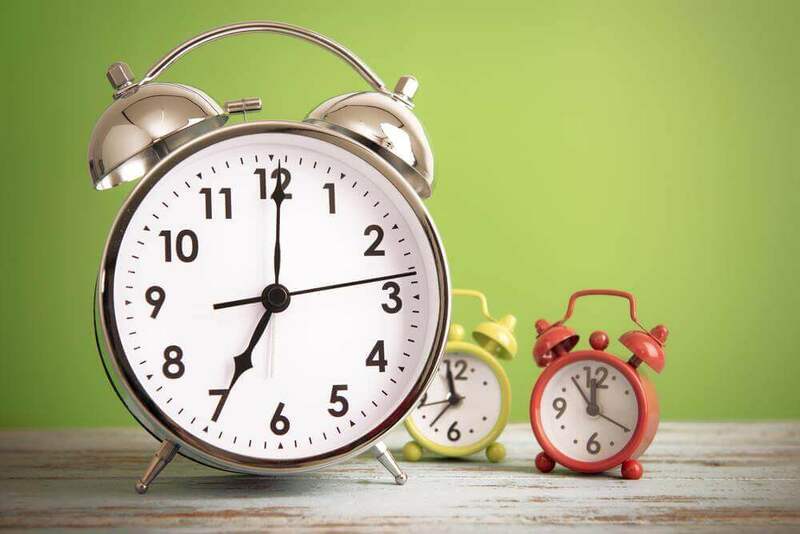 Intervening early is critical, yet in practice it can often take more than ten years between the onset of illness and the first treatment in most countries. This is worrying, says the OECD, as under‑treatment rates are highest among young people and waiting times for counselling are longest. Any action taken in school or the workplace will have a better, more lasting impact than waiting until people have dropped out of education or the labour market. While a heavy workload and work related stress may add to mental health problems, the evidence shows that staying in school or at work is also part of the solution if appropriate support is provided. At school, investing in mental health programmes and having professionals with psychological training is found to be effective. Waiting times in the health service for children and adolescents should be as short as possible. The mismatch between the needs of people suffering from mental ill-health and the services provided to them is one of the biggest problems, according to the report. Current policies are often delivered in silos by health, employment and education services. Creating an integrated system would deliver much better, faster outcomes. Countries have taken small steps towards an integrated delivery of health and employment services, but they have lacked direction. Better measurement and monitoring of policies and outcomes would enable policy makers to assess their impact more effectively. Harvey Nash, the global executive search and leadership consulting firm and The University of Hong Kong Business School have announced the 2015 instalment of the Women’s Directorship Programme (WDP) to be held in Hong Kong in May and September. 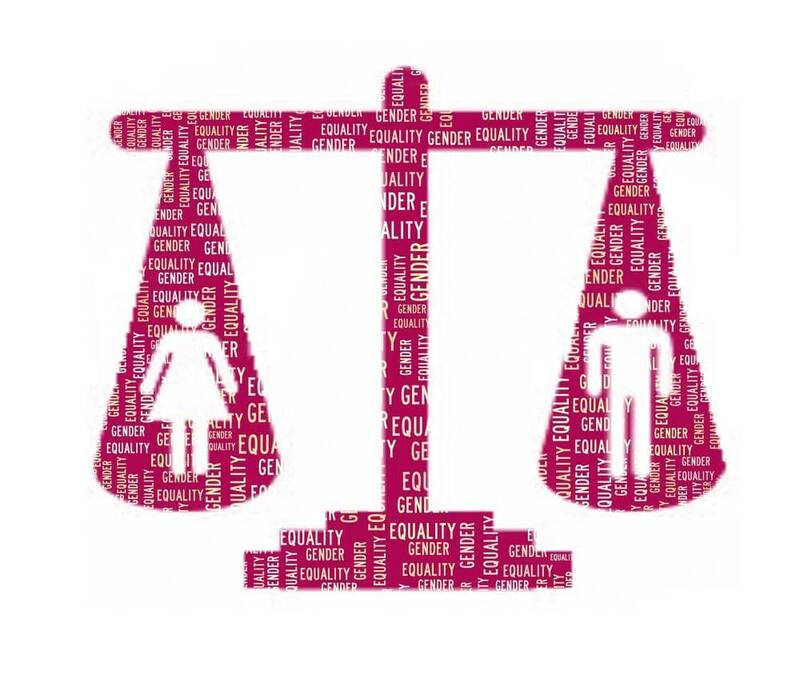 The international board preparedness programme, exclusively for women, was created in answer to the worldwide business community’s call to tackle the existing gender imbalance in boardrooms. Harvey Nash and HKU Business School created the certificated Women’s Directorship Programme in 2013, with the aim of enabling participants to become effective board members and serving to increase the supply of board-ready women executives across geographies and business sectors. Led by esteemed faculty members of HKU Business School, the Women’s Directorship Programme offers a unique combination of lectures and academic leadership theories, plus practical insights and real life case studies delivered by international business leaders. The involvement of senior business leaders as guest speakers sets the programme apart, providing unprecedented levels of access to their boardroom insights and experiences. The 2015 programme includes six modules – including strategic leadership, ethics and compliance, finance and market regulation – taught over two three-day sessions (May 28-30 and September 10-12, 2015). Participants have access to on-going support through the alumni programme and benefit from a global network of peers and senior business leaders. A survey by American Express, investigating business behaviour amongst UK mid-sized companies during the UK’s pre-election period, has revealed that while they are firmly focused on making strategic investments during 2015, the caution typified by the recession era still prevails, with just one in six of the survey respondents saying they will take a more bullish approach to business risk during 2015. The survey, titled “Election Year: Mid-market Business Barometer”, shows an overall attitude of maintaining the status quo. Meanwhile the impact of the general election has created a ‘corporate green room’ for many of Britain’s mid-sized companies, perhaps as a reaction to the uncertainty over the electoral outcome amongst leading opinion polls. Almost half of the companies surveyed (45%) reported that they may delay some or all key decisions until after the election. Of the 22% who stated that they could delay all of their key decisions, almost half (46%) will hit pause from 1st March onwards. Almost the same number (44%) plan to restart their decision-making process as soon as the election results are known. These were among the findings released today in the American Express Barometer, a representative sampling of senior finance executives and decision-makers from UK companies with revenues of between £3 and £300 million. In 2015, UK companies are firmly focused on applying strategic thinking to their businesses and increasing their knowledge base. When asked about their most important resolution for 2015, strategic thinking topped the list. A quarter of respondents identified their intent to spend more time on strategy, while a further 21% prioritised the need to build up their knowledge base in 2015 by learning more about the regulatory environment, risk, social media and marketing. Third on the list of 2015 resolutions was spending more time with customers, selected by 13% of respondents as their main priority for 2015. These responses illustrate a broader trend across the survey, with businesses focused on developing strong future pipelines rather than actively pushing for, or investing in, immediate growth. Indications of how this ‘pipeline’ is being built can be seen in survey respondents’ focus on innovation, manifested in mid-sized businesses concentrating on investments in people and technology. 36% of those surveyed said that investment in technology or innovation was their number one investment priority, while 28% selected increasing headcount. 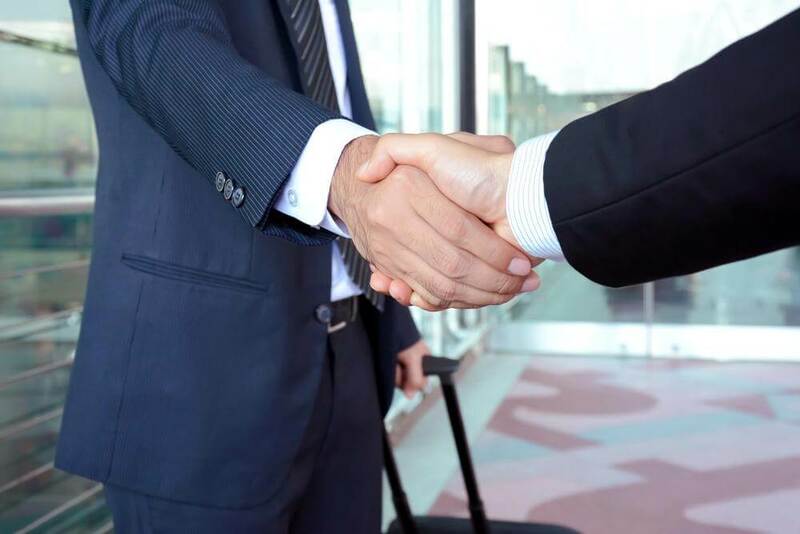 Talent retention, a key focus area for management in the pre-recession era, has once again returned to the agenda of UK company decision makers. When asked about major business concerns for 2015, over a third of survey respondents said they were most concerned about talent retention – ranking higher than concerns about cash flow (23%) or declining market share (21%). This preoccupation with talent retention recalls pre-2007 business priorities and also suggests that businesses will have to compete far harder to recruit talent in the future. Elsewhere, businesses seemed confident in their decision to maintain the status quo: when asked whether their attitude towards business risk would become more or less bullish this year, a strong majority (63%) said that their attitude to risk would remain the same, echoing the long term approach to business investment that prevails in 2015. 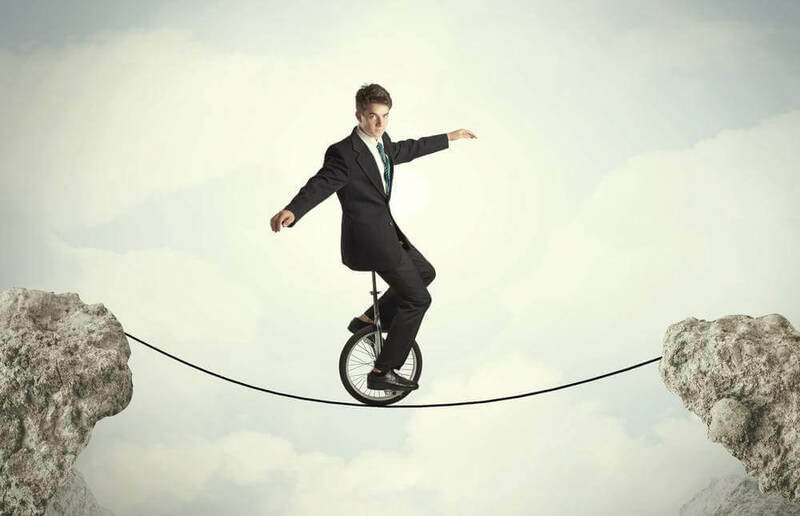 Respondents were similarly sanguine about their ability to balance risk with growth, with 59% of respondents saying that they believed that they had taken the ‘right amount’ of business risk to secure growth. 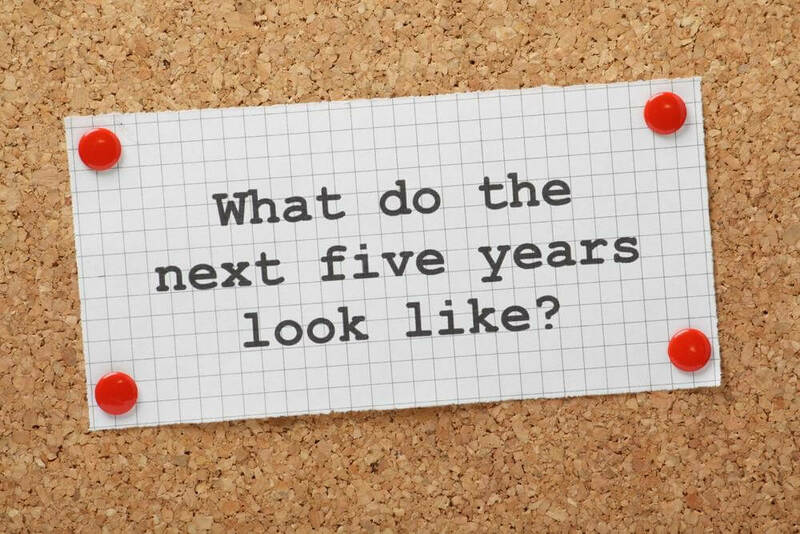 How Do Your Career Choices Affect What You Earn Today, and in 15 Years’ Time? New statistics published by free salary benchmarking service Emolument.com compare how the average salaries of different professions increase with experience, and highlight some remarkable trends. Few will be surprised that finance and legal professions offer the highest salaries at all levels of experience. What is more notable is how average salaries in local government, accounting, marketing, HR and media vary by just £5k (less than 16%) for executives with less than 5 years’ experience, but 15+ years into a career the difference between media and local government is as much as £63k, with media executives earning 87% more. The stats also reveal at what point of their career executives can expect to receive the biggest pay rises. Marketing, media and accounting professionals get their biggest percentage increases after 5 years’ experience (75%, 83% and 67% respectively), while HR professionals see an 85% increase when they reach 10 to 15 years’ experience. In the charity sector average salaries are typically the lowest of the professions compared, which might be expected given the nature of the businesses. However, the stats reveal a huge step up for executives with over 15 years’ experience, usually taking up the top charity management roles. The study was conducted by leading salary benchmarking website Emolument.com, a platform leading the transparency revolution to give thousands of employees free access to detailed market information, empowering professionals to make better informed career choices. The data has been submitted anonymously and securely by over 40,000 individuals spread across hundreds of different professions, sectors and locations, in order to access free in-depth personalised reports about how their pay compares to peers in their industry and elsewhere. A dedicated direct mail campaign, devised by Publicis Chemistry, has been created to promote the findings of the study looking at how people interact with mail, called Mail in the Heart. The campaign targets over 9,000 marketers and agencies. Scientific experiments found people said they valued something 24 per cent more highly when they can see and touch it compared to when they can see only. 55 per cent of those in the study said that mail gives them a better impression of the company compared to 25 per cent for email. In addition, 57 per cent of respondents said that receiving mail makes them feel more valued while only 17 per cent said the same for email. 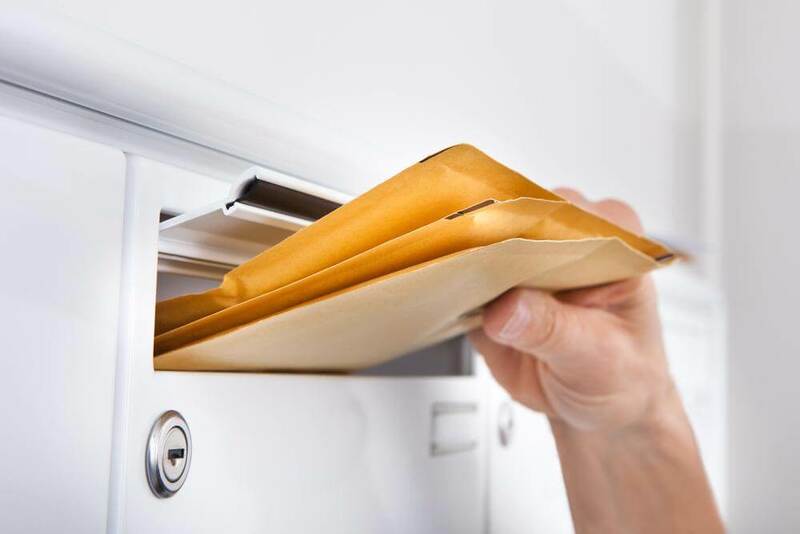 Findings from the research also showed that people believe mail makes messages feel more important, with 63 per cent of people saying they take mail more seriously compared to email (18 per cent). Meanwhile, 71 per cent of people said that they opened a letter or brochure from a company they have ordered from before that had arrived in that day’s mail. The findings are part of Royal Mail MarketReach’s 18-month research programme, The Private Life of Mail, which brings together unprecedented insight into the role of mail in people’s homes, hearts and heads, plus the impact this has on advertisers’ ROI. The full research report can be downloaded from www.mailmen.co.uk. Mail’s ability to drive an emotional response also significantly impacts ROI. Research from the IPA Effectiveness Awards Databank showed that multi-media campaigns that included mail shifted share of market broadly three times more efficiently than multi-channel plans without mail. And, campaigns that included mail were 27 per cent more likely to deliver top ranking sales performance than campaigns that didn’t. Furthermore, when asked about attitudes to advertising mail, 62 per cent claimed to reject all advertising mail. Yet when asked about what they had actually done with the mail in their homes at the time of the survey, 64 per cent had opened a piece of advertising mail that day and the majority who did went on to interact with it. -Over three quarters of manufacturers (78%) say that Government, industry and academia must work together to secure the UK’s role in the 4th industrial revolution. -Britain’s manufacturers are bracing themselves for the imminent impact of a 4th industrial revolution, but raise grave concerns over the UK’s ability to play a leading role, according to new research out today from EEF, the manufacturers’ organisation. The revolution – dubbed Industry 4.0 and driven by rapid advances in technology – will become a widespread reality of manufacturing life within the next decade, with eight in ten manufacturers (80%) expecting their business to be affected by 2025. Nine in ten (88%) say the UK should be taking a leading role, seeing clear benefits to the sector and the rebalancing of the wider UK economy. But six in ten (58%) warn that the UK risks being left behind, potentially knocking back Britain’s burgeoning industrial renaissance and prompting calls for the next Government to ensure the right industrial strategy and support framework is in place. The research supports a key theme of this year’s National Manufacturing Conference and is published alongside a specially-commissioned report – Manufacturing, Britain’s Future – sponsored by leading technology companies Infor and IBM. The report sets out how the 4th industrial revolution is at hand, and how, in the global battle for dominance, innovative firms can take the lead and help position Britain as the manufacturing and technology hub of Europe. Seven in ten manufacturers (66%) say that UK manufacturing’s ability to compete globally will depend on keeping up with advances in technology. However, little over one in ten (14%) think that the UK is readily equipped to be a leading player. With Industry 4.0 set to become reality within one investment replacement cycle, seven in ten (70%) see the levels of investment required as the key challenge. Other concerns are the impact on the supply and demand of skills (59%) and keeping on top of technological advances (58%). Despite these obstacles, there is everything to play for. Almost seven in ten (69%) say the rapid advance in technology will play to Britain’s strength as a high value manufacturer, pointing to benefits such as the ability to produce more bespoke products (56%) and for more rapid and cheaper prototyping (52%). It will also increase the importance and value of manufacturing within the UK (55%) and result in increased demand for highly skilled workers (63%). The trend for reshoring is also set for a boost, with half of manufacturers (50%) saying that Industry 4.0 will enable more production to be brought back to the UK. 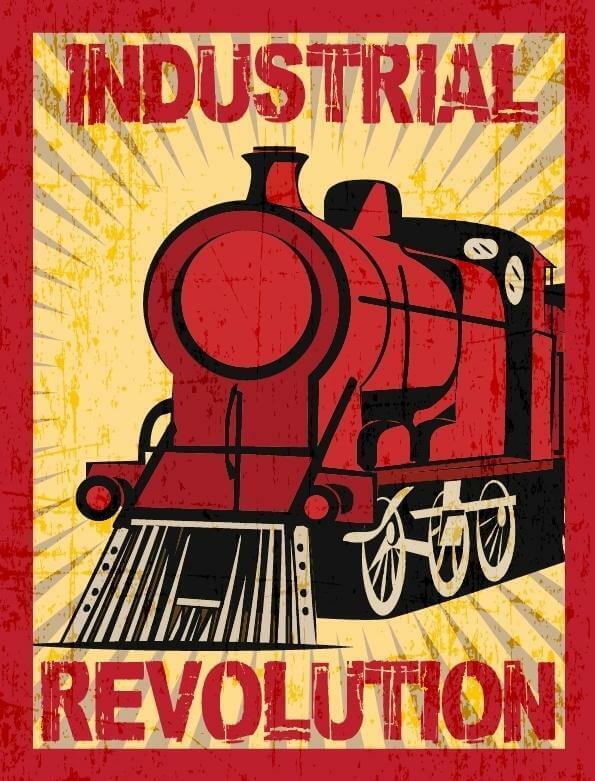 As a result, over three quarters of manufacturers (78%) want to see Government, industry and academia working together to secure the UK’s role in the 4th industrial revolution – 85% agree that Britain needs a long-term industrial strategy spanning consecutive governments if it is to capitalise on the opportunities. Terry Scuoler, CEO of EEF, says: “The 4th industrial revolution will change the global face of manufacturing beyond recognition. The UK must take a leading role if we are to realise our ambitions for a healthy, balanced and growing economy. “The next decade will bring great and rapid change and the early-adopting nations will maximise the opportunities presented by new technologies and thrive as a result. There will inevitably be winners and losers, which is why we should take note when manufacturers say there is a real danger of the UK being left behind. EEF will be revealing its manifesto – Securing a manufacturing renaissance: priorities for Government – at the National Manufacturing Conference on Thursday 26th February. Their research found that most entrepreneurs and SMEs focus on running their day-to-day business and do not, or to a much lesser extent, pay attention to managing their contract administration. 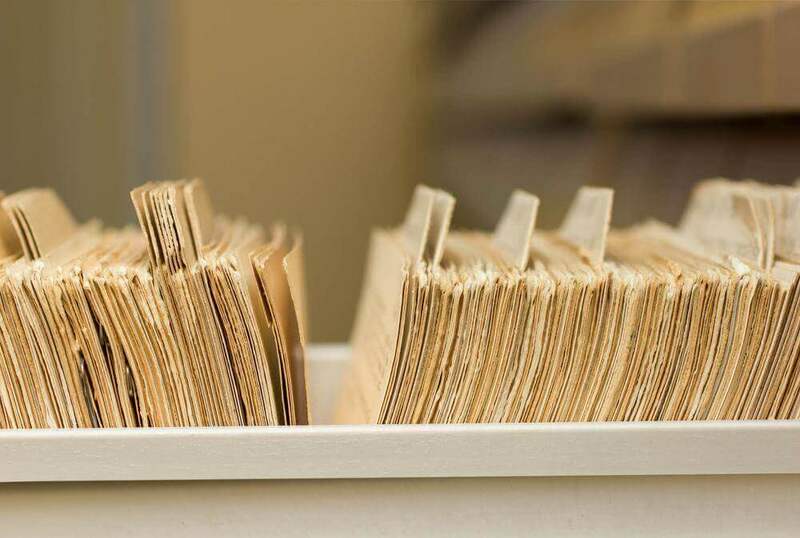 “When we researched contract management behaviour at companies, we concluded that contracts are usually kept in a folder in the corner of an office or at a secretary’s desk. Sometimes a simple spreadsheet or calendar program is used. Especially facility and maintenance contracts lack attention. These contracts regularly do not make money, they just cost money and consequently are not top of mind,” according to Schouten. The founders of Cloudtract experienced first-hand what it is like to forget to cancel a contract or even try finding all of the contracts. When Schouten started working at an insurance company it took her two months to gather all the contracts that the marketing department signed during the previous years. “It is shocking to see that we did not know which contracts the marketers had signed and that the IT department had to pay for an unused software license of 40.000 euro,” says Schouten. Contract management at SMEs often results in unwanted renewed contracts, double contracts or unfavourable conditions. It’s a problem that Cloudtract wants to tackle head-on with its free online platform that makes it easy to securely store contracts and set alerts. While the ultimate goal of Cloudtract is to offer this solution to businesses and consumers as well, the company has launched its beta version for companies only. It is available in English and more languages will follow shortly. The knock-on effect of this is that business owners have to make tough decisions in order to make it through the month. Some 20 per cent of directors, in companies that experience late payments, say they have taken a cut in salary in order to keep cash inside their businesses. 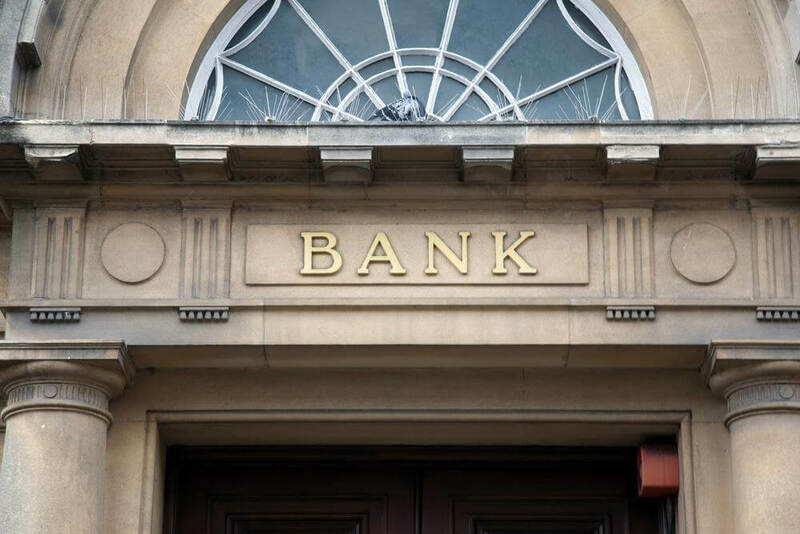 Over a quarter (26 per cent) are having to use their overdrafts to make ends meet and one in ten are experiencing one or more of the following challenges every month: difficulties in paying staff on time, factoring invoices and difficulties paying regular bills. Some 23 per cent claim the late payment situation is forcing them to pay their own suppliers late. “Late payment remains a key issue for many of our members. These latest findings from Bacs also suggest it continues to seriously affect a small business’s ability to fund business growth. The Bacs research shows that although the overall late payment burden shouldered by UK companies has fallen, the percentage of companies affected by late payments is virtually unchanged. The Bacs figures reveal that SMEs (companies employing fewer than 250 people) are owed £32.4 billion – down from £39.4 billion in January 2014. Corporates (companies employing 250 or more people) on the other hand are owed around £9.1 billion, up from £6.7 billion in January 2014. 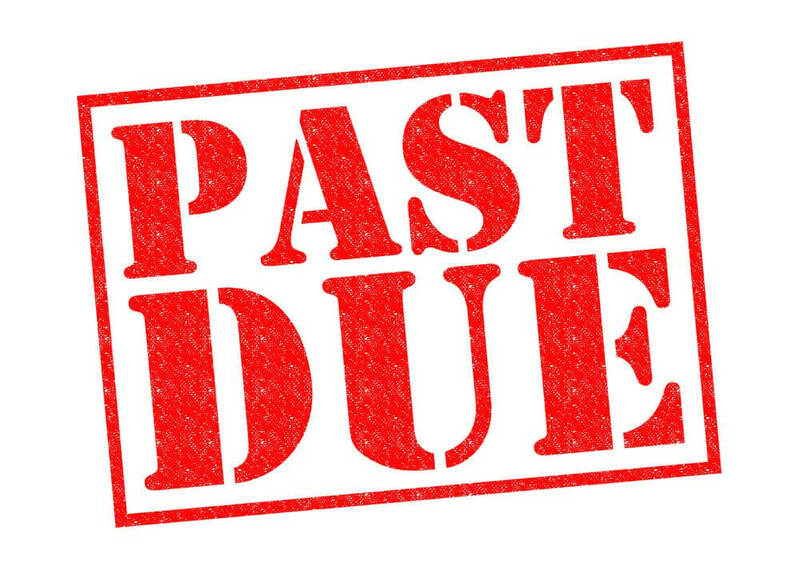 In total the amount owed in late payments stands at £41.5 billion, down from £46.1 billion in January 2014. While the overall figure has fallen, the data shows that 59 per cent of companies surveyed are impacted negatively by late payments. This is in line with January 2014 findings which showed the figure standing at 60 per cent. These difficulties are made worse by the revelation that SMEs are facing additional costs of around £677.00 a month which are directly attributable to late payments – this equates to around £8.2 billion a year. Of this, some 63 per cent is associated with administration time spent chasing late payments, or around £5.2 billion annually. The average late payment burden shouldered by SMEs now stands at £31,901. This puts many SMEs perilously close to bankruptcy with £50,000 being the maximum that SMEs in the survey say they could bear before going to the wall. More worryingly, 25 per cent of SMEs state that £20,000 or less is enough to jeopardise their business prospects. Larger companies with 250 or more employees are faring little better. The Bacs research shows that the number of corporates affected by late payments has remained static (80 per cent) since the last survey in January 2014. While almost 40 per cent of businesses are aware of government measures to help companies minimise their exposure to late payments, 72 per cent were unconvinced that these measures would speed up payments to them. And some 59 per cent claimed to be unaware of these measures. Mike Hutchinson from Bacs, said: “The ongoing issue of late payments means that businesses across the UK are facing some tough choices about how to use the cash available to them. They are concentrating on keeping their own businesses afloat rather than paying suppliers, and so the vicious circle continues. 1.When should I write a business plan and how do I do it? 2.How much money will I need to set up my business? 3.How can I raise the finance I need for my business plans? 4.How much should I pay myself? 5.How should I approach recruiting new staff? 6.Should I go into partnership with someone else? 7.Do I really need an office? 8.Do I have to set up a limited company? 9.What marketing and advertising should I be considering? 10.How do I find the business support and advice I need? 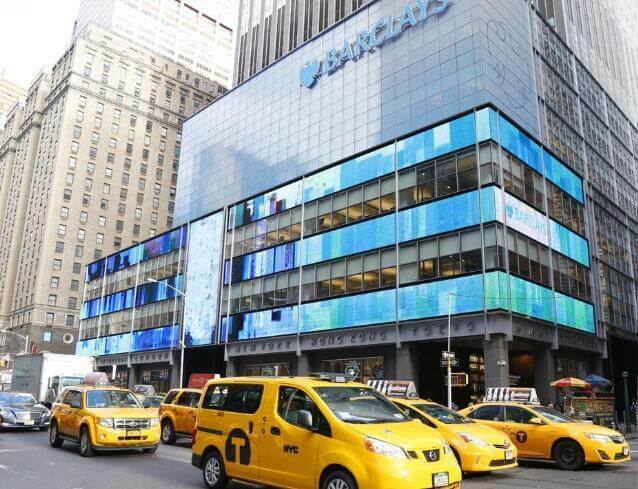 The Barclays Accelerator, powered by Techstars, will open in New York in July 2015. The program will provide the opportunity for ten companies to participate in thirteen weeks of intensive networking, mentoring and development, aimed at supporting breakthrough financial technology innovations. The first Barclays Accelerator program ran in London last year. A range of innovative fintech ideas were developed, including a new credit scoring system, a new money management tool to help people regain control of their finances, and an analytics platform designed to help companies manage risk and reputation. The ten companies will be based at new, custom-built premises in Manhattan when they join the program in July. The companies will also have access to a catalogue of Barclays APIs and data to help them build and refine their business models. The program will culminate with a Demo Day in October, when the companies will have the opportunity to pitch their business ideas to industry leaders. From March 2 until May 1, 2015, entrepreneurs and start-up companies worldwide will be able to apply for a place on the program by visiting www.barclaysaccelerator.com. The program will begin in July 2015 with the Demo Day scheduled for October. Unite condemned the increasing number of employment agencies and payroll companies involved in what it branded a ‘legalised wages con-trick’. 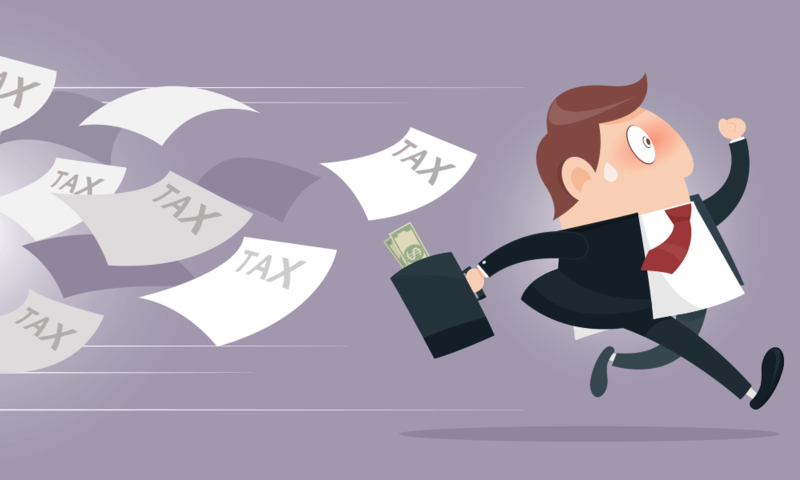 Since the Westminster government’s finance bill ushered in changes to legislation on self-employment in 2014, umbrella companies have emerged as a way of circumventing tax laws. Rather than using PAYE there has been a mass move to pay workers via these companies which charge for their services. This has left construction workers badly out of pocket; forced to stump up for the cost of processing wages, and paying employers’ national insurance contributions as well as their own (often totalling as much as 25 per cent of their wages). The motion titled: ‘The umbrella company contract scam’, (see notes for text) will be debated at 17:00 – there will be a lobby by construction workers at the Scottish parliament an hour earlier at 16:00. Pat Rafferty, Unite Scottish secretary, commented: “Umbrella companies exploit construction workers pure and simple and that must be stopped. The Westminster government has left these workers in an intolerable situation forced to operate via umbrella companies and no longer considered self-employed. “In some cases workers now earn less than the minimum wage as a result of these practices. Many have found themselves on zero hour contracts, with no guaranteed employment but unable to work elsewhere because of exclusivity clauses. “Let’s be clear these arrangements hit morale and productivity and have a negative impact on tax revenues – something the Treasury needs to wake up to. The SCCE 2015 European Compliance and Ethics Institute (ECEI) will be held 29 March – 1 April 2015, Hilton on Park Lane, London, UK. SCCE’s European Compliance and Ethics Institute is a multi-industry and multi-topic conference offering the latest practices for effectively addressing the wide range of challenges facing the European compliance and ethics community. “Last year attendees felt the ECEI gathering was becoming their ‘professional home.’ Compliance professionals felt great benefit from sharing, learning, commiserating, and connecting with their peers. 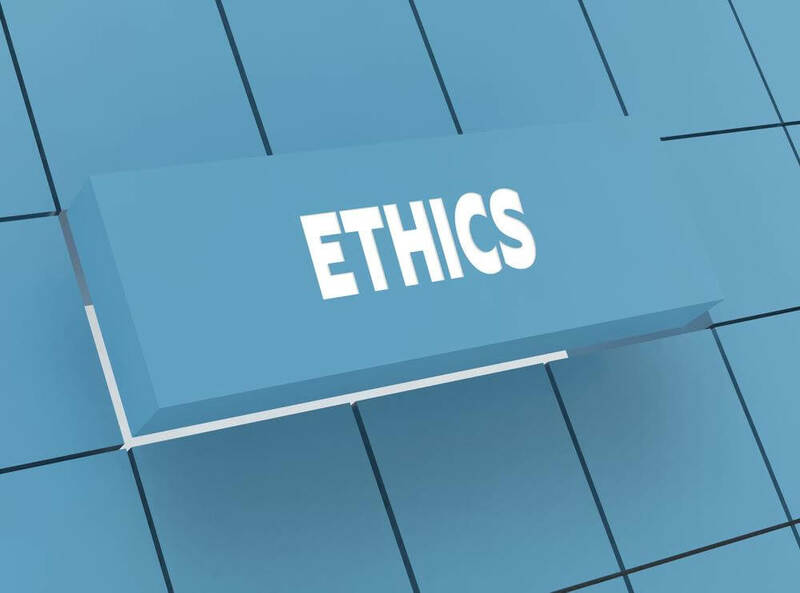 The European Compliance and Ethics Institute is a rare opportunity to get the latest insights on a host of compliance concerns from a wide range of industries,” said SCCE Chief Executive Officer Roy Snell. -Maryann Clifford, Group Ethics & Compliance Officer, BP International Ltd.
-Is an International Anti-bribery Management System Truly Achievable? Speakers: Winston Chan, Partner, Gibson, Dunn & Crutcher LLP, Lauren Reynolds, Regional Compliance Attorney for Europe, Microsoft, and Thomas Firestone, Senior Counsel, Baker & McKenzie. The report shows a drop in confidence when employees share ideas outside of their departments and collaborate with colleagues in other countries, departments and hierarchies. The study – The innovative company: How multinationals unleash their creative potential – found respondents’ confidence levels drop from 96% when communicating with colleagues in their own departments to 72% with colleagues in other countries. Some 87% of companies agreed cross-cultural collaboration produces innovative ideas, but half said cross-cultural differences make it harder to share ideas with colleagues in different countries. 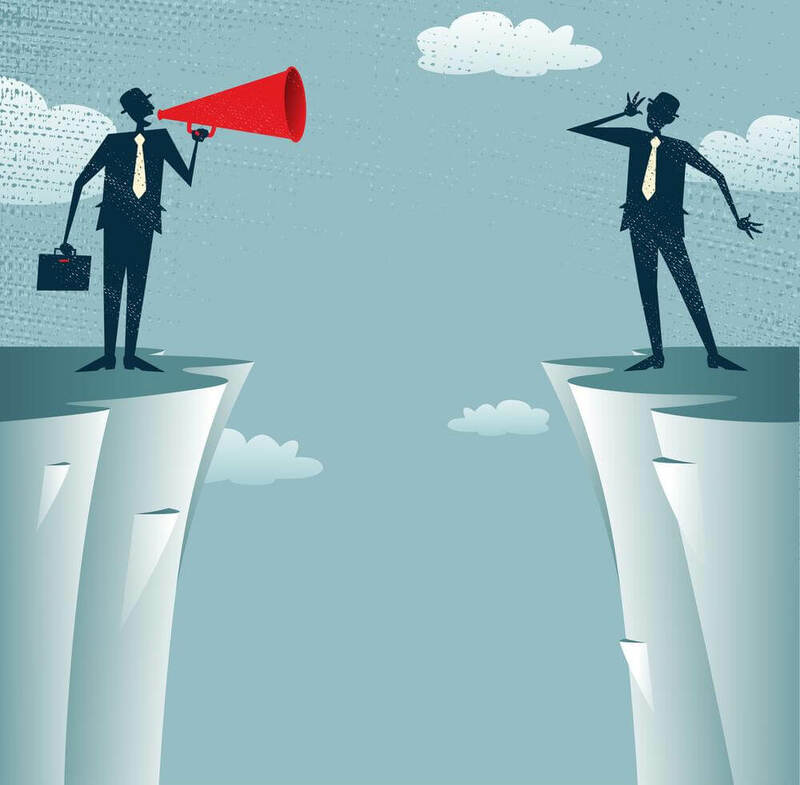 The study found 81% of 350 respondents said improving cross-border communication skills in staff would boost their firms’ ability to innovate. Yet nearly 30% of firms surveyed concede their spending here is inadequate or non-existent. The study found while CEOs use idea-sharing processes a lot (95%), engagement tails off outside the c-suite, with managers (78%) and department heads (77%) less likely to use them. This casts doubt on whether formal processes can involve everyone in innovation. The study found global firms are staking their futures on their ability to innovate. Creating new products and services was a top-three priority for 54% of survey respondents, more important than cutting costs (42%) or investing in talent (33%). Over three-quarters (76%) of firms plan to increase their investment in innovation further over the coming three years, with almost one-third (31%) set to increase it significantly. More than two-thirds (71%) have ramped up investment in innovation over the last three years, and a quarter (25%) have done so significantly (defined as increasing investment by 20% or more). Some 55% of executives said it was solely their responsibility to provide training to foster innovation. And more than one-third (37%) said skills provided in their countries are not adequate to improve the ability of the workforce to innovate. Yet 75% of government officials surveyed said it is not their job to address the creativity skills gap in corporations, leaving this responsibility to the companies themselves. The public officials see the main problem as making adults more aware of the training that is already on offer. Firms aspire to create a culture of experimentation, but often fail to follow through. In the survey, 30% of respondents said their firms lack a culture that encourages new ideas from everyone; 30% said their companies lack a culture that allows for failure; and 34% said their companies do not allow time for employees to experiment on their own projects. Many companies have formal processes to gather ideas, but these are often ineffective. That’s the message from category, customer and shopper management specialist Bridgethorne <http://www.bridgethorne.com> after Experian and online retail trade association IMRG reported that number of visits made to shopping websites was up 25 per cent on last Christmas Day, to an estimated 142 million. This follows the earlier Centre of Retail Research figures, which forecast a growth of 19.5% online, compared to the £14.5bn spent in 2013. Ecommerce sales, they said, would account for 23.4% of all sales in the six-week Christmas period from mid-November to Christmas. 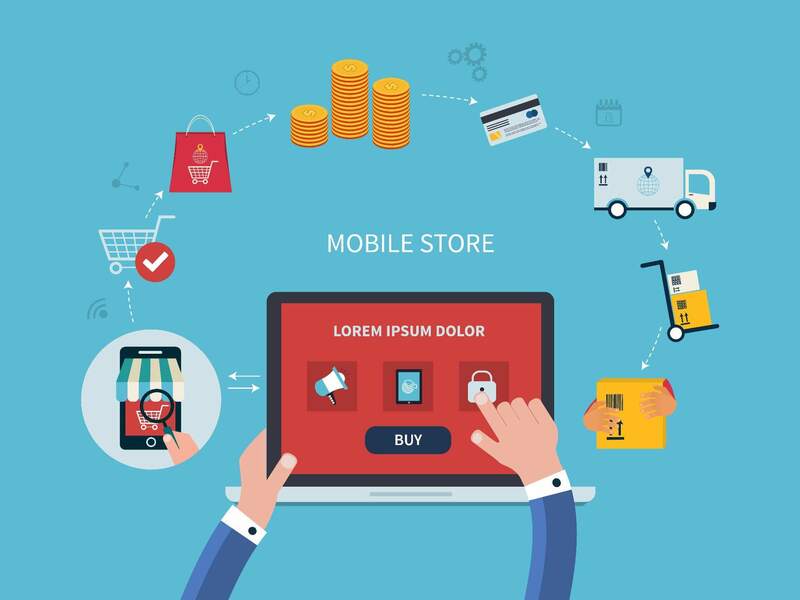 Although a growing proportion of ecommerce sales took place over mobile devices – an estimated 29.8% of all online Christmas sales were over tablets and smartphones, 301% more than at the same time last year – the majority of sales still took place over PC and laptop. Nevens says that over the next five years, the three fastest growth channels of convenience, discount and online will increase their sales by £31.3bn, equivalent to 110% of market growth. Nevens says that the challenge facing suppliers, now and in the future, is not only to talk the talk of shopper and category, it’s to walk the walk too and that’s what Bridgethorne is working with clients to do. 180,000 people started running their own business in 2014. 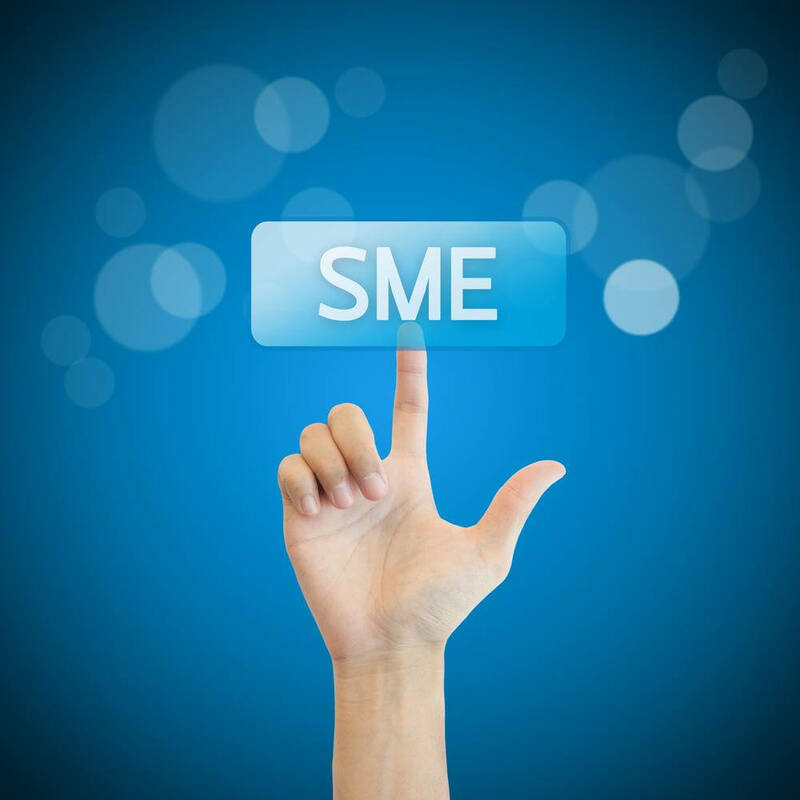 A fifth (21%) of SMEs took on more staff in the past year and 4% employed people for the first time. British SMEs are thriving with business owners reporting that profits are up in the past year and the outlook is positive. SMEs interviewed in the research included sole traders and companies employing up to 250 people. New research by LV= Broker reveals that three quarters (75%) of SMEs improved or maintained their turnover in the past year. Four in ten (41%) British SMEs have seen their turnover increase in the past 12 months, while a further 34% say turnover remained steady at 2013 levels. 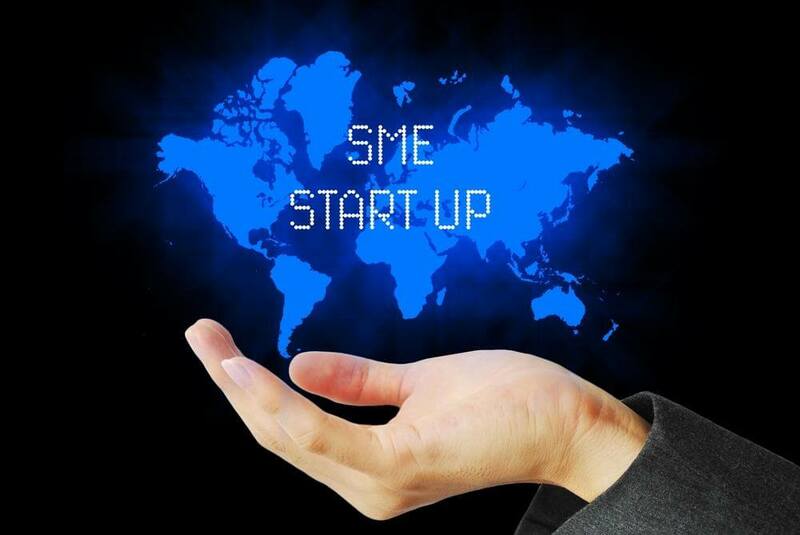 In addition, a new generation of SME owners has entered the market as 180,000 people started running their own business in the past twelve months. As well as increasing turnover, SME owners have also created more jobs. A fifth (21%) of SME owners say they have taken on more staff in the past year and 4% have employed people for the first time – equating to at well over 200,000 new jobs. By law, all businesses employing staff must have employers’ liability (EL) insurance as a minimum otherwise they can be fined up to £2,500 a day by the Health and Safety Executive (HSE). Despite this, the research found that 80,000 SMEs who employ staff have no cover in place, leaving them vulnerable to prosecution and fines. As well as being vulnerable to fines from the HSE, business owners with premises open to the public or clients could find themselves heavily out of pocket should someone make a liability claim against them. Almost two thirds (62%) of consumers say they would make a claim against a small business if they slipped over or were injured while on its premises. Slips and trips can result in expensive compensation claims running to tens of thousands of pounds. Analysis of LV= data shows that the number of liability claims being made against businesses has been steadily increasing in recent years and SME owners need to be prepared for them. While the economic outlook is very positive for British SMEs, running a business is not without risk. An unforeseen event, such as a fire or flood, can stop trading for days or even weeks while repairs are undertaken and stock replaced. Depending of the type of business, this can spell financial ruin for companies that are unable to continue trading at alternative premises. Despite this, one in six (15%) SMEs have no financial back-up plan in place if they were unable to trade for any reason and one in twenty (4%) SMEs have no insurance, equivalent to over 200,000 companies across the UK. When asked why, four in ten (38%) of these don’t see the need for any contingency plan, 21% can’t afford one and one in ten (10%) say they plough all their profits back into the business. 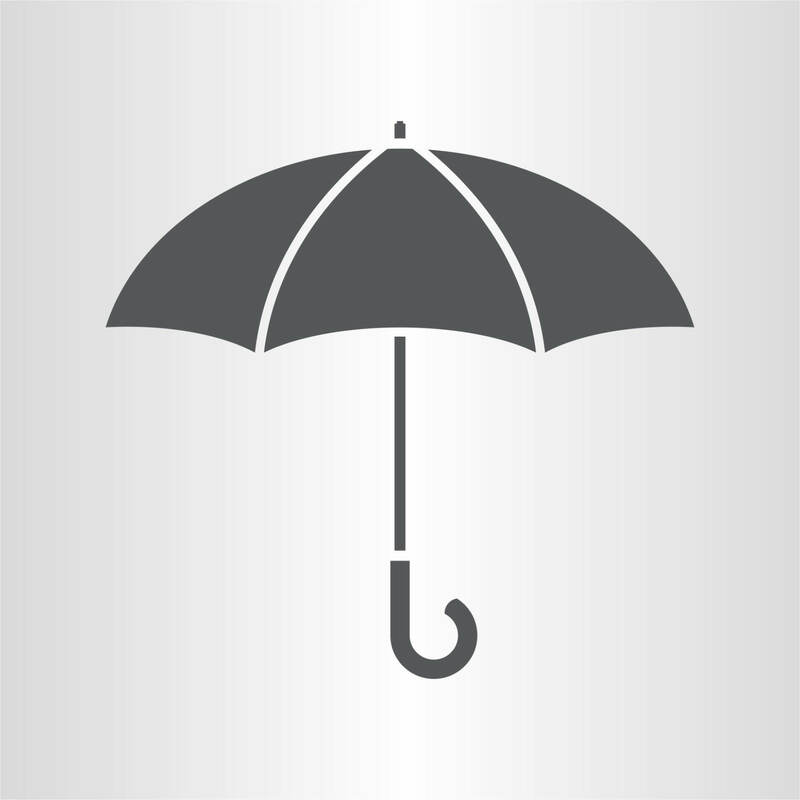 The insurance needs of a business will vary according to the type of business and the market it operates in, as well as its turnover, stock levels and whether it employs staff. Those running their own business should seek independent advice from a commercial insurance broker to insure they get the right cover for their business needs. With 2015 on the horizon, research commissioned by npower has today revealed that small and medium sized businesses (SMEs) are confident about their business and the economy. The research of 1,008 SME senior decision makers, in the Manufacturing, Retail, Leisure & Hospitality and Business Services sectors in Britain, showed 50 per cent of those surveyed expect to see an increase in business turnover during the next 12 months, while 46 per cent are confident their business would be able to recruit people with the right skill set during the same period, assuming they were able to pay market rate or above. 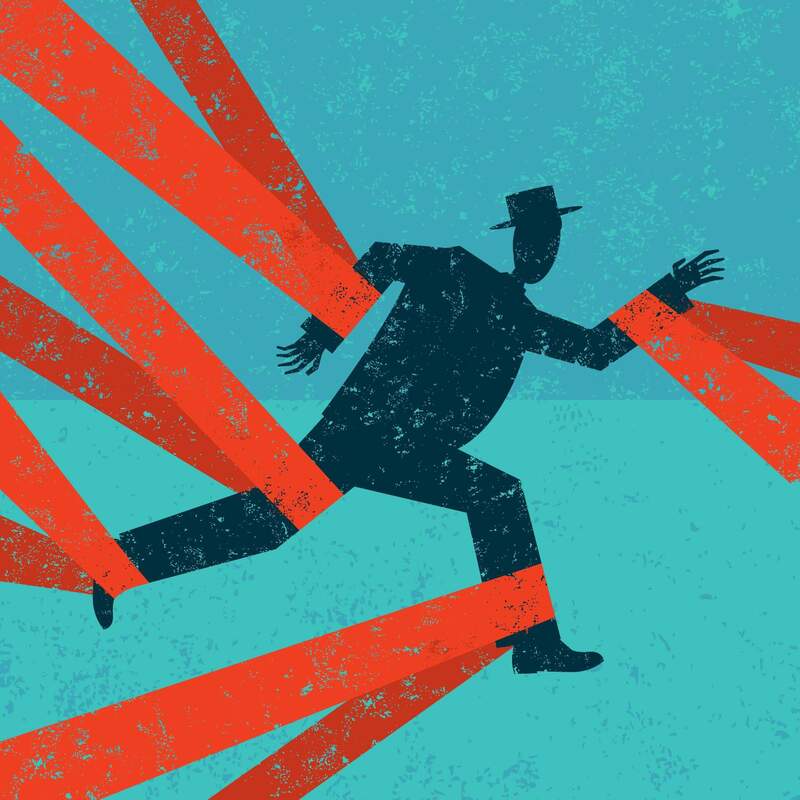 However the research did reveal fears over the amount of red tape and taxes imposed upon SME businesses (32 per cent), as well as concerns over the availability of credit and skills, with 49 per cent of businesses worried that tough legislation and regulation will hamper their ability to grow in the next 12 months, potentially putting the brakes on the success of small businesses just as things are looking up. The study stressed that whilst SME headcount is expected to increase (21 per cent stated this), 28 per cent of SME decision makers are concerned about recruiting talented staff with the right skills. Other barriers to future growth include lack of bank lending, cited by 47 per cent. The research also highlighted that whilst SMEs are considering the short term success of their business, the long term succession plan is becoming a thing of the past with a staggering 71 per cent of those surveyed saying their businesses have no succession plan in place. -The U.S. and Western Europe, followed by Asia Pacific, were the most active M&A markets; activity in CIS and CEE slowed as a result of the Ukraine crisis. The prospects for a continued recovery in 2015 are dependant, in part, on the macro-political environment, (in particular (i) what happens in Greece and its effect on the Eurozone more broadly, (ii) Russia, (iii) the general election in the UK, and (iv) North Korea), as the economic fundamentals are sound and there are strong cash reserves on balance sheets, historically low interest rates and relatively stable equity markets. For the calendar year 2014 there were 3,282 deals overall, worth a total of USD3.12 trillion*, compared with 2263 deals worth USD1.83tn in 2013. The two regions that drove strong growth in M&A were the U.S and Western Europe, despite the sluggish economic environment in the latter. The U.S accounted for 34% of all activity by volume and 45% by value. The UK was the number one target for U.S outbound acquisitions with a total of 65 transactions, followed by Canada with 28 and Germany with 20. A majority of the deals in the U.S were completed by strategic investors to either extend their portfolios or bolt on new areas of growth. Despite inconsistent economic growth in Western Europe, overall transaction values were up by nearly USD400bn compared with the same time last year to reach a high of USD863bn. The success was driven by strong Life Sciences and TMT sectors. The UK saw the biggest deal in the insurance industry for 15 years in Q4 with Aviva buying Friends Life for GBP5.6bn. The outlook in Europe is for a diverse M&A market with key deals in 2015 expected in a number of sectors, assuming concerns regarding the macro-political environment do not have a negative effect. Activity in CEE and the CIS slowed dramatically due to Russia’s economic uncertainty in light of the Ukraine crisis. Transaction volumes were a tenth of their 2013 levels totalling just USD4bn. Russia’s economic situation looks stark as it heads into expected recession this year with a tumbling oil price expected to impact investor confidence, at least in the short-term, and the political uncertainty and sanctions continue. Across the board, the Life Sciences sector played a central role in propelling overall M&A activity to pre-crisis levels. The value of deals totalled USD530bn and was driven by tax inversion strategies, patent cliffs, companies making strategic disposals and using cash on their balance sheets to invest in smaller biotech companies with active drug development pipelines. The return of the white knight bid was evidenced in the largest deal of the quarter with the USD65bn bid by Actavis for Allergan. In 2014 Private Equity funds became more active, particularly in the Life Sciences space. While exits remain the priority, more significant buyouts are starting to return. However as larger, strategic deals build momentum, PE funds remain cautious and are unwilling to compete with strategic players paying premia. TMT businesses around the world are in a state of transformation, and 2014 was a year in which game-changing deals took place. The prospective ramifications of the GBP12.5bn tie-up between BT and EE go beyond the UK at a time when consumers across the world want access to high-quality content irrespective of the device they are using. As delivery systems fragment, many content creators see the benefit of joining forces, evident in the Apollo Global Management and 21st Century Fox joint venture that brought together Endemol, Shine Group and CORE Media Group. There is optimism for a buoyant 2015 M&A market with continuing strong cash reserves and confidence expected to spur on activity, underpinned by privatisation strategies in a number of markets including Europe and Asia Pacific. With confidence comes increasingly hostile and competitive bids, which was a feature of 2014 that is likely to remain. Shareholder activism will also be part of the deals landscape ahead, not only in the U.S, while the closure of the inversion loophole will see tax-driven deals dry up. The M&A Index provides market insight and commentary by Allen & Overy partners, backed up by independently commissioned quarterly research on (USD100m ) global M&A deal types and analysis of top global outgoing buyers and target markets. Will pride come before a fall for deal-makers in 2015? Acquirers in 2014 set new records for performance, with share prices out-performing non-acquiring companies by an average of 5.8 percentage points (pp), compared to 4.5pp in the prior year. 2014 was also a boom year for M&A in terms of volume according to Towers Watson’s Quarterly Deal Performance Monitor (QDPM) in partnership with Cass Business School, with a total of 928 deals*, an increase of 208 on 2013 figures and the most deals completed in a single year since before the financial crisis. Asian acquirers were the star performers of the year, maintaining an impressive outperformance above the regional index throughout the year averaging 24.7pp. Their success overshadows the outperformance of acquirers in Europe, which rebounded as forecast in 2014, achieving 4.1pp, and North America at 2pp above their respective regional indexes. The market returned for larger, more complex, deals in a big way last year. By year end a record-breaking 176 large deals (worth over $1 billion) and 12 mega deals (worth over $10 billion) had been completed. This compares to 120 large and 4 mega completed deals in the prior year. As the age of “banker bashing” fades away, financial services will be one of the sectors to watch with deal volumes slowly picking up. Meanwhile pharmaceuticals will remain one of the main drivers of global deal activity (driven by deal fundamentals rather than financial engineering). It was obvious at the end of 2014 that mega-deals were back with a vengeance but their prevalence will become even more significant in the year ahead. As markets remain high, with robust corporate cash balances and low interest rates, expect to see larger, more complex, deals completing at a surprising rate. The runaway success of Asian acquirers last year in terms of share price return is undisputed. Armed with the recipe for success, Asia is set to remain triumphant in 2015 and may even further accelerate its lead ahead of Europe and North America. Beware hubris – the early birds have the worm, we may now start to see the “me-too” and the “just-get-it-done” deals. This could be the year that we begin to see more deal-makers getting their fingers burned and by the end of the year we will have a new benchmark deal to hold up as how not to do it. Global risk has risen in recent years and businesses are slowly coming to terms with trading in this new landscape, one in which results for economic indicators can fluctuate greatly. UK businesses trading internationally face an added currency risk, which is tethered to investor sentiment surrounding economic events. Despite the mounting global uncertainty, CFOs are still optimistic about growth in investment and earnings this year. Businesses require more help than ever this year, be it through robust currency hedging strategies to minimise risk, or the right guidance on trading in emerging markets. 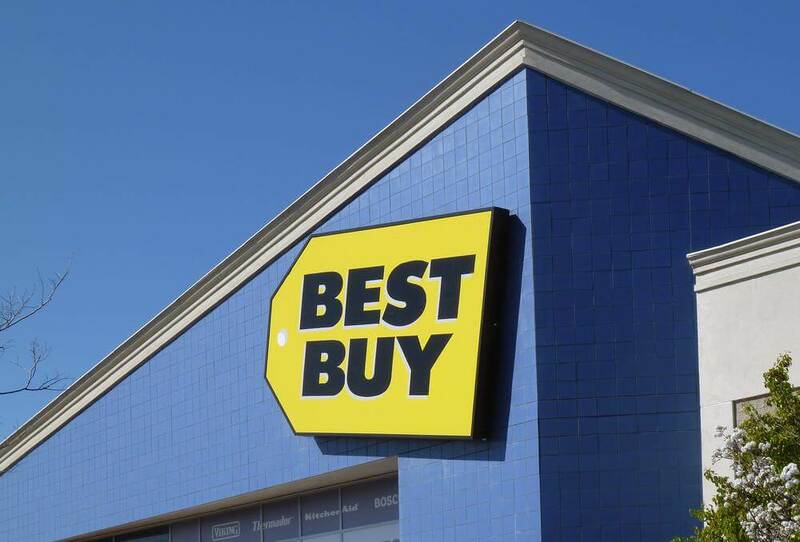 Best Buy Co., Inc. today announced that it has entered into a definitive agreement for the sale of its Five Star business to the Jiayuan Group, a prominent China-based real estate firm led by Chairman Yuxing Shen. This sale does not affect Best Buy’s private label operations in China. “Over the last two years we have worked to improve our business in China and are proud of the progress we have made there,” said Hubert Joly, president and chief executive officer of Best Buy. “We were recently approached by Jiayuan Group, a respected Chinese investment group, which offered to acquire the business with plans to further expand it. The Jiayuan Group has agreed to work with Five Star Chief Operating Officer Yiqing Pan, who will become chief executive officer of Five Star. Mr. Pan has been with the business for many years and has a deep respect for Five Star employees, as well as a vested interest in continuing to work with them to build a stronger presence in China,” Joly said. “The sale of Five Star does not suggest any similar action in Canada or Mexico. Instead, it allows us to focus even more on our North American business. We will also continue to invest in and grow our China-based private label operations, with brand names that include Dynex, Insignia, Modal, Platinum and Rocketfish,” Joly added. Best Buy entered the Chinese retail market by purchasing a majority interest in Jiangsu Five Star in 2006 and now operates 184 stores in China, all under the Five Star brand. The transaction, which is subject to regulatory approval, is expected to close in the first quarter of fiscal 2016. The sale of the Five Star business is not expected to have a material impact on the results of operations, financial position or cash flow of Best Buy. Henry Sténson has been appointed Head of the newly established Group function, Corporate Communication & Sustainability Affairs. Sténson has longstanding experience of management roles at senior executive level in companies including Ericsson and SAS, but has also been employed previously at the Volvo Group in such positions as CIO for Volvo Aero and Volvo Cars. Sténson will take up his position on January 1 and will also join Volvo Group Executive Team. As previously announced, Corporate Communication & Sustainability Affairs is the name of the new Group function comprising both of the previous functions, Corporate Communication and Sustainability & Public Affairs. In conjunction with publication of the report on the third quarter of 2014, it was announced that the Executive Team would be reduced from the current 16 members to 10 as of January 1. 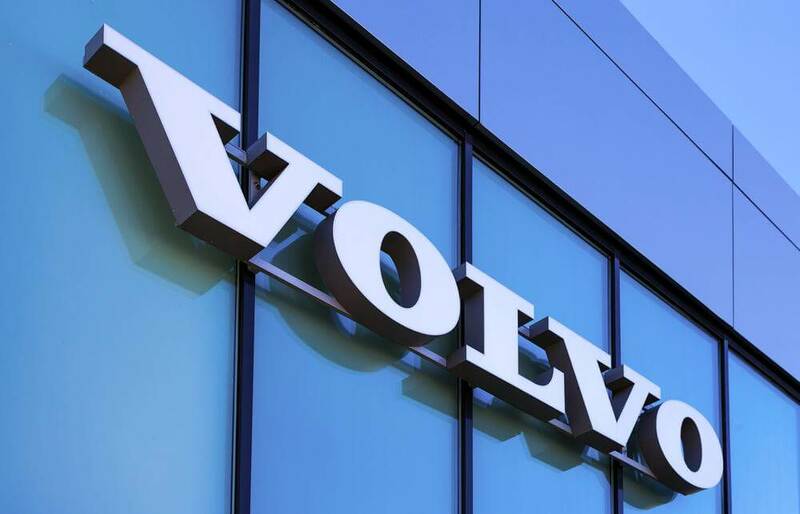 Volvo has previously announced that the reduction in the number of members is also to take place through a merger of the three sales and marketing organizations in Group Trucks, by no longer including the Heads of Volvo CE and Volvo Financial Services in the Executive Team as of January 1 and by placing the organization of Corporate Process & IT under the Group’s Chief Financial Officer (CFO). News Corp has announced that it has successfully completed its acquisition of Move, Inc. Move is a leading provider of online real estate services and operates a network of sites, including realtor.com®, the official website for the National Association of Realtors®. Through realtor.com® and its mobile applications, Move displays more than 98% of all for-sale properties listed in the US. The Move network of websites reaches more than 30 million people per month, who spend an average of 22 minutes each on its sites. “In partnership with the National Association of Realtors® and its one million members, we look forward to turbo-charging realtor.com® and making it the most popular and profitable property site in America,” said Robert Thomson, Chief Executive of News Corp. Mr. Thomson said that the acquisition of Move extends News Corp’s operations globally and digitally, and substantially bolsters the real estate pillar of its business. The previously announced tender offer by a subsidiary of News Corp for all of the outstanding shares of Move common stock at a price of $21.00 per share expired as scheduled at the end of the day, 12:00 midnight, New York City time, on November 13, 2014. Excluding shares tendered by notice of guaranteed delivery, a total of approximately 34,299,586 shares were validly tendered into and not withdrawn from the tender offer, representing, together with the shares owned by News Corp and its subsidiaries, approximately 83.1% of Move’s outstanding shares. As a result, News Corp, through its subsidiary, has accepted for payment and will promptly pay for all such validly tendered shares pursuant to the terms of the tender offer. 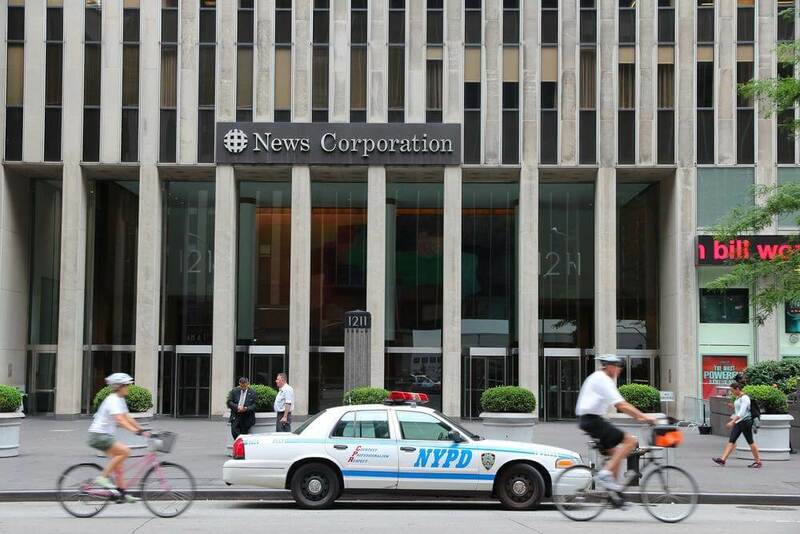 Following its acceptance of the tendered shares, News Corp completed the acquisition by causing the merger of its subsidiary with and into Move without a vote of Move’s stockholders, pursuant to Section 251(h) of the Delaware General Corporation Law. Upon completion of the merger, Move became an indirect, wholly-owned subsidiary of News Corp. As a result of the merger and in accordance with the terms of the merger agreement, all eligible Move shares not tendered into the tender offer were cancelled and converted into the right to receive $21.00 per share in cash, without interest and less any applicable withholding taxes, the same price per share offered in the tender offer. As a result of the acquisition, Move shares ceased to be traded on the NASDAQ Stock Market. REA Group Limited, in which News Corp owns a 61.6% interest, has entered into a definitive agreement with News Corp to acquire a 20% stake in Move. The transaction is expected to be completed on November 17, 2014. Pabst Brewing Company, North America’s largest privately held brewing company, announced today that it has completed its sale to Blue Ribbon Intermediate Holdings, LLC. 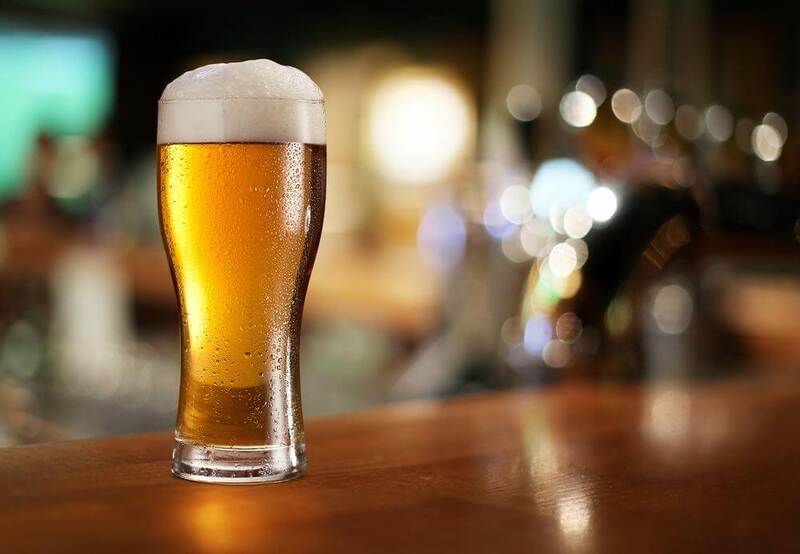 Blue Ribbon is a partnership between American beer entrepreneur Eugene Kashper and San Francisco-based TSG Consumer Partners LLC, a leading investor in growth consumer brands. Terms of the transaction were not disclosed. Mr. Kashper has been named Chairman and Chief Executive Officer of Pabst, and the rest of Pabst’s Executive Leadership team will continue in their current roles. Pabst’s Board of Directors will include Mr. Kashper, Mr. Krumrei and Brooklyn Brewery Chief Executive Officer Eric Ottaway. Mr. Kashper and his family are relocating from New York to Los Angeles, where Pabst is headquartered. 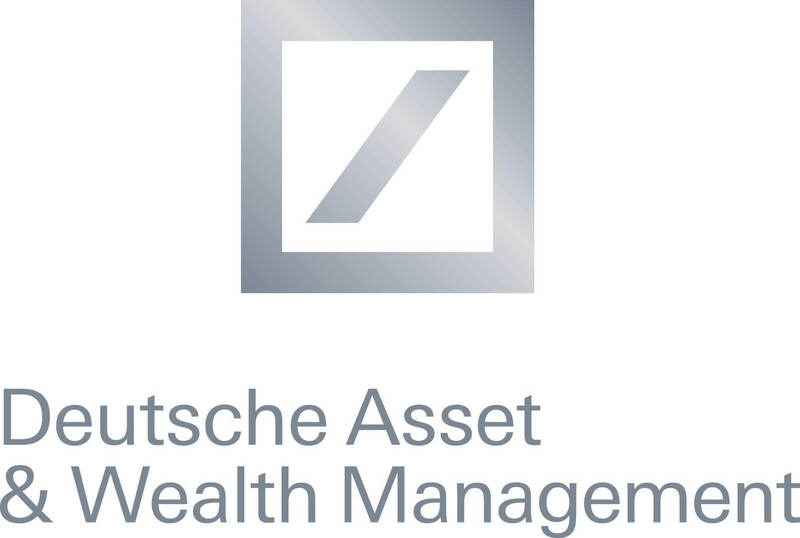 Deutsche Bank has announced two appointments within its Corporate Finance group in North America. Allen Blankenship joins as a Managing Director in Corporate Banking Coverage (CBC) Industrials and Michaela Galluzzo joins as a Managing Director in CBC Consumers. Corporate Banking is part of Capital Markets and Treasury Solutions within Corporate Finance at Deutsche Bank and is focused on delivering a broad range of banking and treasury solutions to clients. Blankenship joins Deutsche Bank from Citi where he was most recently a Senior Corporate Banker responsible for the North American Surface Transportation & Logistics and Diversified Industrials sectors. He has over 23 years experience in Corporate Banking and is expected to join the bank in January, reporting to Stefan James, who joined Deutsche Bank in June as Head of CBC North America. Galluzzo joins Deutsche Bank from Royal Bank of Scotland where she was responsible for large corporate relationships in the Consumer Products, Retail and Leisure sectors. She has a wealth of experience in Corporate Banking with a career spanning over 16 years. Galluzzo is based in New York and reports to Tim King, Head CBC Consumers North America. 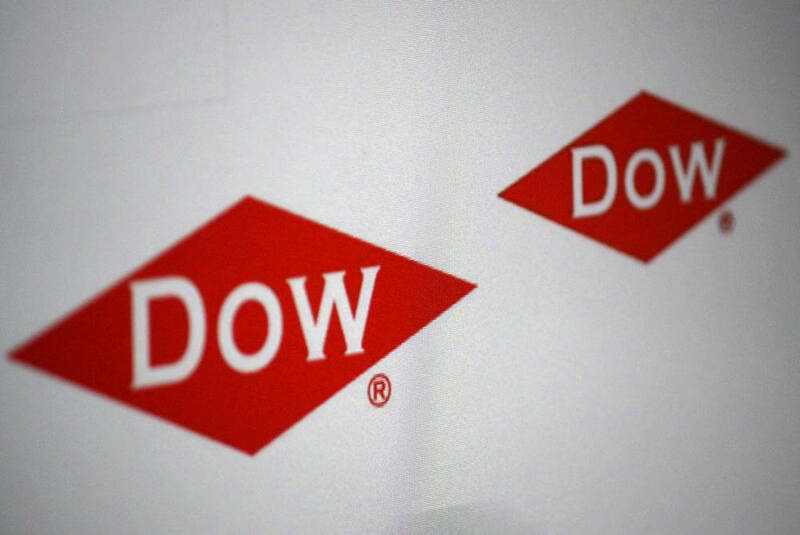 The Dow Chemical Company has announced an increased divestiture target aligned to further enhance the value of its portfolio and support the company’s market-driven, integrated strategy. On track to complete its goal of realizing US$4.5bn to US$6bn in proceeds by year-end 2015, and with additional portfolio management actions underway, Dow is now increasing its divestiture target to US$7bn to US$8.5bn to be complete by mid-2016. Since 2013, the company has generated US$2.5bn in proceeds, reallocating this capital to remunerate shareholders, fund growth and reduce debt. Dow continues to assess opportunities to enhance the value created across its portfolio, including rationalising its position in major joint ventures and divesting Dow businesses that, while valuable, no longer align with Dow’s integration strategy. In line with this strategy, and as announced earlier today, Dow plans to reduce its equity position in all of its Kuwait joint ventures, which will release capital for other strategic purposes including shareholder remuneration. The company also announced the signing of a definitive agreement for the divestiture of its ANGUS Chemical business for US$1.215bn in net proceeds. 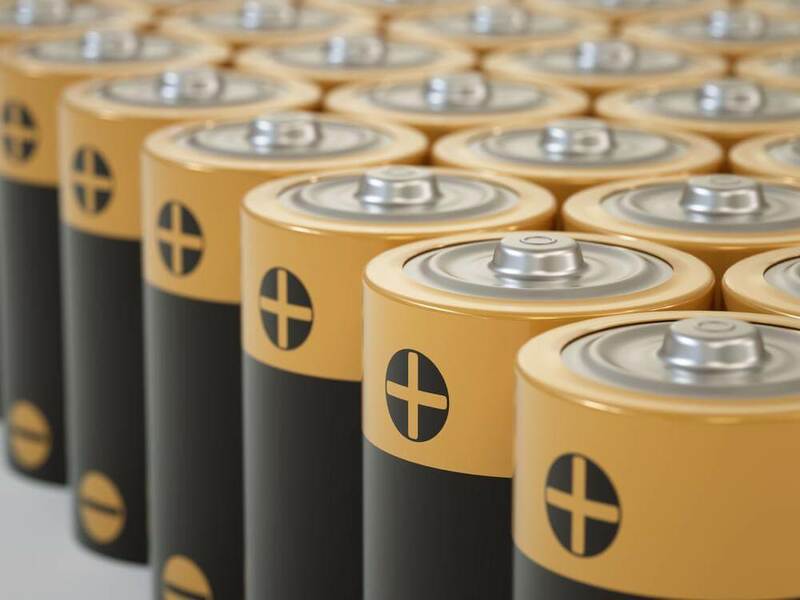 Berkshire Hathaway Inc. announced today that it has entered into a definitive agreement with Procter and Gamble whereby it will acquire the Duracell battery business from Procter & Gamble. Pursuant to the agreement, in exchange for a recapitalised Duracell Company, which will include approximately US$1.7bn in cash at closing, P&G will receive shares of P&G’s common stock currently held by Berkshire Hathaway having a current value of approximately US$4.7 bn. The transaction is expected to close in the second half of 2015 and is subject to obtaining various regulatory approvals as well as certain other customary closing conditions. 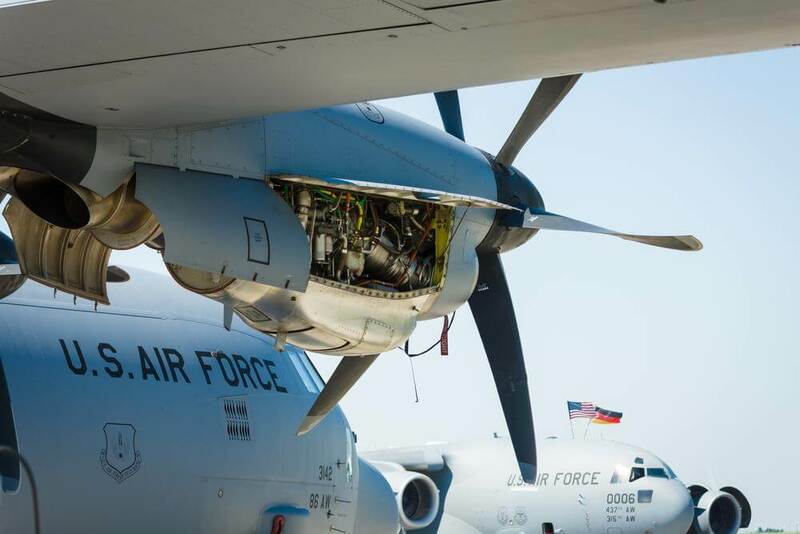 The US Air Force has awarded a contract worth over $100 million to Rolls-Royce to purchase spare engines and parts for its C-130J fleet and to support Foreign Military Sales customers. Rolls-Royce AE 2100 engines power all C-130J aircraft in the US military and global fleets, while legacy C-130 aircraft are powered by Rolls-Royce T56 engines. The AE 2100 is part of the Rolls-Royce AE family of engines, with nearly 6,000 total engines delivered and more than 61 million flight hours across the military and commercial fleets. Yahoo! Inc. and BrightRoll, Inc. have announced a definitive agreement for Yahoo to acquire BrightRoll, a leading programmatic video advertising platform. The transaction will combine Yahoo’s premium desktop and mobile video advertising inventory with BrightRoll’s programmatic video platform and publisher relationships to bring substantial value to advertisers on both platforms. BrightRoll is a large, growing and profitable business with net revenues expected to exceed $100 million this year. Yahoo expects the transaction to enhance its EBITDA. 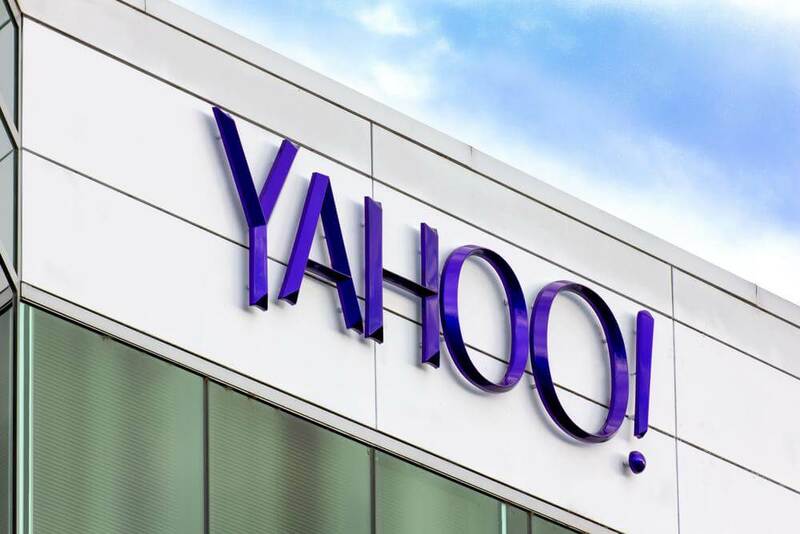 The acquisition will accelerate Yahoo’s strategy, which is focused on search, communications, and digital content through growth in mobile, social, native, and video advertising. Acquiring BrightRoll will dramatically strengthen Yahoo’s video advertising platform, making it the largest in the US. Online video advertising is increasingly fragmented across thousands, if not millions, of sites and mobile apps. More so than with traditional broadcast television, advertisers are seeking ways to buy online video advertising at scale across many sites in fewer, simpler transactions. BrightRoll provides an elegant solution, aggregating high-quality publishers together into a unified network and utilizing programmatic advertising and aggregation to allow real-time buying on the largest set of online video advertising inventory available. BrightRoll’s approach not only benefits advertisers and publishers, but also improves experiences for consumers, through better quality, more relevant advertisements.